Elizabeth Azzuz, one of several tribal members interviewed for the Civil Eats article. Traditional Native methods of prescribed burning aren't just helping protect forests on the North Coast. According to an article published by Civil Eats, the controlled burns and ancient agroforestry practices are on their way to reestablishing forest-grown food staples, reviving traditional foodways and working toward food sovereignty. 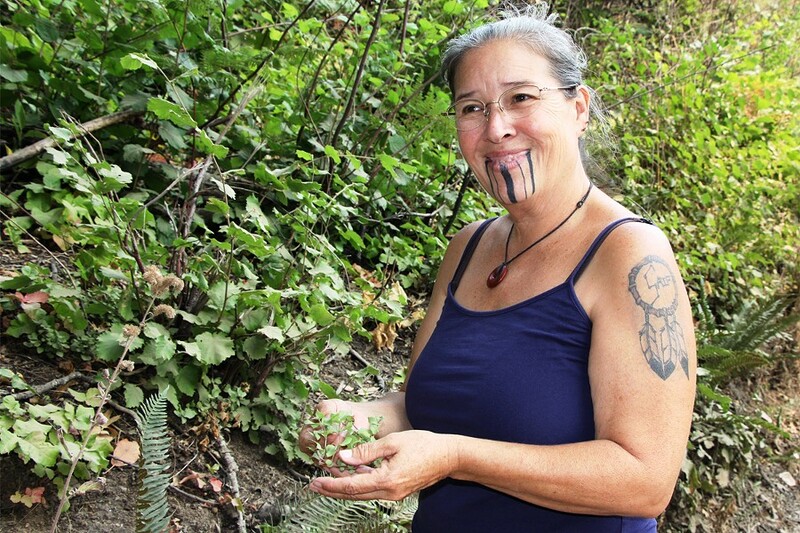 The article, produced with Mongabay, details how Karuk and Yurok tribal members working with the U.S. Forest Service have found that, "Along with hazel, these controlled burns are rejuvenating wormwood and other medicinal plants, and bear grass for baskets. Acorns, raspberries, thimbleberries, vines for teas, and other edible plants have burgeoned since they began burning. By thinning out forest undergrowth, fires also improve habitat for the elk and deer, important Yurok foods." Salmon, too, get a boost from burnings that cut back brush and weeds that can clog streams. Read more about forest stewardship via controlled burning in the Nov. 3, 2016, cover story by Malcolm Terrence "Unleasing the TREX."